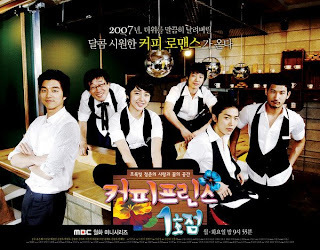 TV producers chose MBC’s “Infinite Challenge” and “Coffee Prince” as the year’s best variety show and TV drama. At the 20th Korean Producers’ Award held Thursday at the SBS Open Hall, “Infinite Challenge” was honored with the best TV entertainment award. The reckless challenges faced by six comedians recorded the highest ratings and awareness among all the variety show programs on TV. Also “Coffee Prince,” last summer’s biggest drama hit starring Yoon Eun-hye and Gong Yu, won the best TV drama award. Other awardees include KBS’s “Tea Road” for the best TV documentary, and Kang Ho-dong for the best show host, Wonder Girls for the best musician, Kim Myung-min of the “White Tower” fame for the best performer, and Kim Dae-hee for the best comedian.